Cutie Pie is in first grade now, which meant we spent some time this summer reinforcing reading through some fun activities, which I’m sure he’s waiting for me to pull back out again! One game we played was with those foam letters again. (You can read about what we did with them once before here.) We poked the letters out and used them in combination with the big squares to make words! Six year old Cutie Pie loved this because he was in a phase where he loved trying to spell words, but also because it was challenging to come up with words and phrases that used letters at most twice! 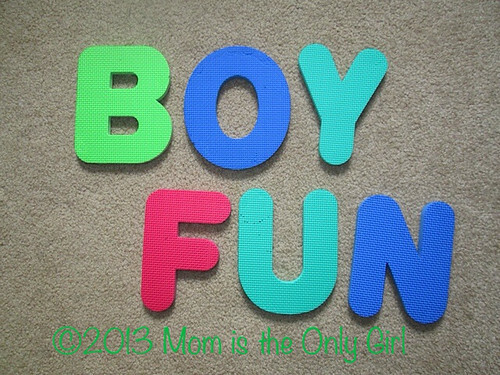 What fun things do your kiddos do with the foam alphabet letters in your house?